The S-Pedelec Scorpion fs 26 is the first road-legal, European, pedal assist E-Trike with support up to 45 km/h that corresponds to the new EU laws. 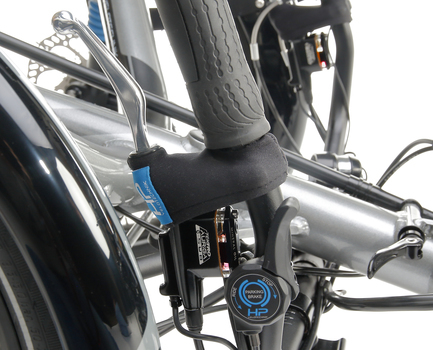 Since the beginning of 2018, the certification (TÜV) for class L2e-P vehicles is reserved for vehicles with: -	Turn indicators -	Brake fluid level indicator for coupled brakes -	Headlamp (with “E” approval as in other motor vehicles) -	Horn (with “E” approval) -	Tail light with brake light & license plate lighting -	Engine immobilizer The first emissions-free vehicle in its class – perfect for commuters with long trips and cleaner, city air. The all-new Flash-Design emphasizes the voluminous frame and underlines the Speed-Trikes dynamic. The Scorpion is a genuine substitute for a car. 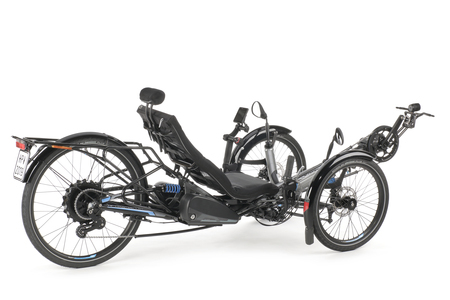 With support up to a speed of 45 km/h, the recumbent bike gets around very swiftly indeed. 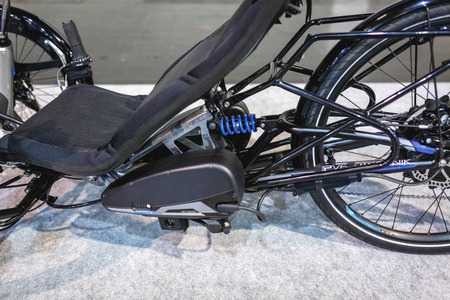 All components, from the innovative light concept to the seat with headrest, are of very high quality, and there are numerous optional settings for adapting the recumbent to its rider.